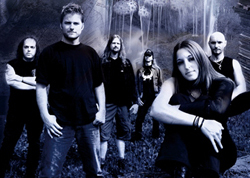 Lunatica, formed in 1998, is a symphonic metal band from Switzerland. The foundations were placed by Alex Seiber and Sandro D’Incau but couldn't find a lead singer for the band. After a long search for a lead singer, the band found Andrea in 2001. With her flawless voice she gave something special to the songs and immediately recorded the lead vocals for the debut album "Atlantis". 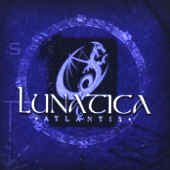 "Atlantis" was very successful and Lunatica were booked for many concerts and festivals. 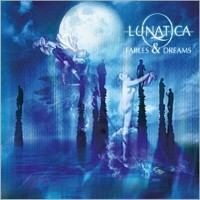 Playing at Metaldayz festival (the biggest metal open air festival in Switzerland), Lunatica was elected "best newcomer band" and gained a lot of new fans. For the second album "Fables & Dreams" the band worked together with successful producer Sascha Paeth, known for producing with Rhapsody, Kamelot, Angra, After Forever, Edguy and Heavens Gate. Sascha Paeth created the powerful production Lunatica desired. The songs were developed better and the band had more time to compose and arrange them - something you can't ignore in comparison to "Atlantis". "Fables & Dreams" was released Feburary 16th 2004 in Switzerland and climbed directly to place 13 of the Swiss Internet Charts. This continued to be a success over that year. After the huge success the followup "The Edge Of Infinity" was going to be hard to conquer over the successful last.